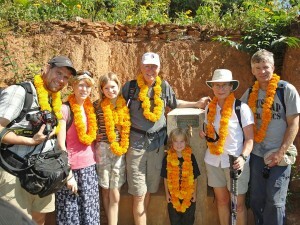 The Denbigh family in Salleni, Nepal – Libby, our newest Board member, wearing a white Tilley hat. My name is Libby, short for Elizabeth, but nobody calls me that except the bank. My late husband, David Denbigh, was a member of the board of World Neighbours for several years. He passed away suddenly last December and I am honoured to be asked to take his place on the board. I don’t expect to be able to fill his shoes, (they were size eleven, after all) but I will do what I can to help this really important organization. I have seen first hand what money from WNC has accomplished in Nepal as I have been there twice. Our initial interest was spurred by our younger daughter’s death in 2006. Her last wish was that we should find an NGO that worked with the villagers of Nepal. We chose World Neighbours because all of the board are unpaid volunteers. 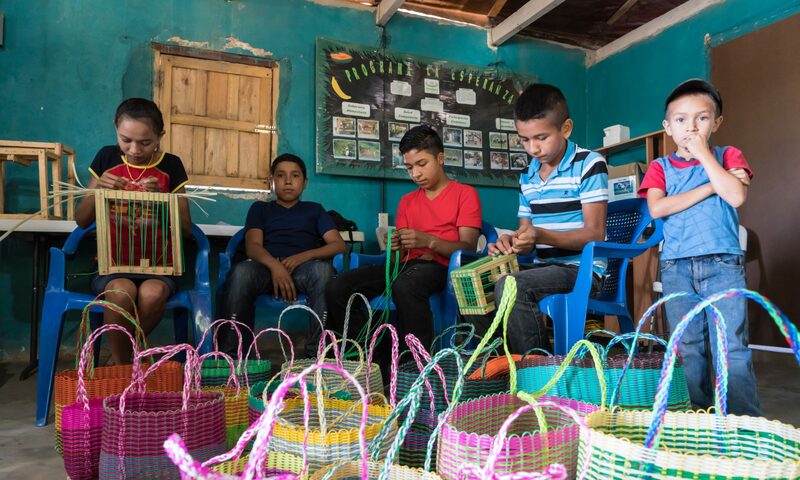 All the money donated goes to fund new water systems in the rural area of Ramechhap in Nepal, or to projects in Honduras and Burkina Faso. We have been supporters ever since. I am a retired primary teacher. I have three children and four grandchildren and I enjoy camping with them in the summer and skiing in the winter. Originally a farm girl from Manitoba, I have lived and worked in Kamloops since 1970. I look forward to serving on the board of WNC for as long as I can be of assistance.